Our first ever batch. Sourced from 200+ cities around the globe, these companies represent the best of the best. Over $20M raised so far, coming from 11 different countries, representing a dozen industries with team members from Google, CERN, and everywhere in between. We can't wait to see where they'll go. See them all in person at our Global Conference 2/23-2/24/16. App Orchid creates artificial intelligence and natural language processing apps to extract and blend structured data from the IoT and operational DBs, with unstructured, free-flowing data from Tribal Knowledge and Internet of Everything. We help companies (B2B) launch, measure, and optimize referral and cross-selling programs. 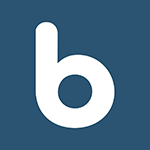 Boomr is a mobile time tracking product that keeps businesses connected to their employees. We offer real-time productivity tracking, communication tools and strive to utilize machine learning so that companies can manage their workforce efficiently. Boostinsider is a place where everyone can be an influencer and recommend products they like to their friends and followers. Whether you are a highly demanded fashion blogger or just someone who likes to spread the word about new products. Brndstr is a Creative Tech house that uses API engineering to build real time, innovative solutions for brands on Social Channels. Cabsolutely provides a SaaS platform to taxi companies, allowing them compete against ride sharing. Our integrated software connects passengers (iOS + Android), drivers (Android), and dispatch (web) and provide all marketing needed for fleets. Caruma Technologies was founded to create a computer vision system and big, visual data platform for the connected car, with the goal to transform the driving experience from the ordinary to the extraordinary. Caruma brings the future of driving to today. Cirkled in is LinkedIn for Students. Boost students' acceptance rate for all applications by compiling school life accomplishments & sharing holistic profile with recruiters and admission staff. ContractRoom is an all-in-one negotiation process, contract management & workflow automation platform. By leveraging behavioral and transaction data, it provides "predictive agreement" for negotiations. CookMood is global community for live streaming cooking classes. You and your friends can learn how to cook with people around the globe by cooking together with them and if you know how to cook, you can earn money by teaching cooking classes in your own. 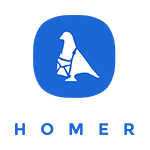 Criptext is a tool that gives you a secure Gmail experience with features such as encrypted email, email unsend, expiration timers, and secure attachments. What Fico is for individuals, CriskCo is for Small and Medium Businesses. We developed a cloud platform that enables lenders to provide affordable business loans with smart analytic and one click process. Eadbox is a platform for content / education marketing, integrated with Hubspot and Salesforce. It serves as an Online Course Academy in order to boost the Content Marketing Strategy, increasing lead generation and improving customer development process. Eureka King enables businesses to maximize the life-time value of their users across web and mobile, by making it super simple for businesses to personally communicate with each user across all channels. Factor.bid -accounts receivable invoice bidding shop your business invoices to get the best deal. Factor banks compete to buy your business invoices. When Factors compete, You Win! 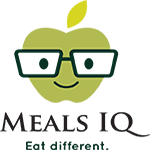 foodjunky is the way businesses order food; saving time and making everyone happy. 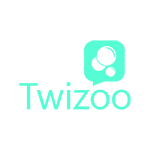 Productivity software for the word's 400M+ entrepreneurs. H2Tran, Inc. builds and provides disaster-proof safe/enclosures to protect digital data and computer hardware against catastrophic situations such as fires, earthquakes, hurricanes, floods, theft, building collapse, and hardware failures due to machine overheating. We are banking the 3 billion unbanked. We developed an SMS and Android mobile wallet platform that allows users to send, receive, store and exchange digital local currency. Hello Parent is an app that allows parents to connect and organize their daily activities. Chat, create & share plans, activities, products & content without leaving the conversation. Plan an outing, find & book movie tickets with friends, find info about products you're chatting about. Our Plexus Easy Automation, a patented and unique hardware/software package turns industrial machines into IOT automation. Our platform incentivizes users, with the support of friends, family and merchant discounts, to set and achieve personal savings goals. Installments is a revolutionary internet service that allows anyone to buy or sell anything in installments. Sellers can offer personal credit to the buyer and collect the payment in installments. Conventional installment payments require a lender. insydo is your new back-pocket buddy, your digital guide to all things Dubai. Allowing you to search the city in seconds, our curated “insydopedia” brings you the top places, activities and go-to services at the click of a button. 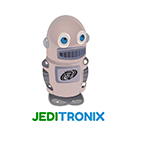 Jeditronix one stop shop for all Technology. 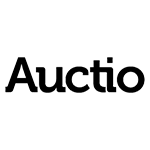 It's also an online marketplace for vendors to sell their surplus, refurbished, secondary electronics inventory to our buyer communities. Jeditronix is driven to empower under privileged areas of the world. Knack is a marketplace for local peer-to-peer learning. Our MVP is an on-demand mobile application that connects college students who need help in their courses with peers who have ace'd their courses. Meals IQ makes sense of your eating and exercise patterns and corrects them, without you having to log foods or count calories. MUrgency is a cloud platform and mobile application which connects people who need emergency response with their trusted network, other users of the app and / or credentialed medical, safety, rescue and assistance professionals as the situation requires. Universally accessible health care system to provide services for patients and service providers by managing an advanced integrated communication portal using cloud based solution. One Paper Lane is on a mission to give people the freedom of a paperless office. One Paper Lane is a cloud based platform that enables organizations around the world to automate and digitize paperwork. One Paper Lane is an easy to use and a secure workflow. By pro-actively enabling optimal trade matching between sellers and buyers of digital advertising, through publisher centric dynamic decision tools and monetization solutions. With the aim of becoming the core optimizer and the gate-keeper of online advertising. Paralign is an anonymous journaling platform that connects you to similar thoughts as you journal; letting you know that there is support, acknowledgement and hope. Partpic is a computer vision company that facilitates search for replacement parts using a camera enabled mobile device. We provide a simple way to initiate search for parts by allowing a user to upload a picture of the part to search. 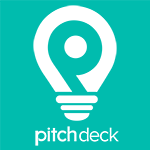 Pitchdeck is a mobile platform to promote startups via 60-second video pitches. Pitch, rate, share and discover great entrepreneurs through video. Remocam helps you take care of what's most precious to you. We revolutionize the way you care for your loved ones with our Smart Home security cameras, automated doorbells and smart pill containers. Saba Idea Tech is a leading Internet company in Iran. Saba Idea owns and runs a number of very popular websites in Iran including Aparat, the biggest Iranian video sharing website and Saba Vision, the most reputable Iranian online ad agency. Schoold seeks to revolutionize the means by which students envision and prepare for their future by aggregating the universe of college, career, and scholarship data on the medium most preferable and accessible to students, their smartphones. ShearShare is the airbnb of the beauty industry, connecting salon owners with independent cosmetologists to fill unused salon suites and stations on a temporary basis. 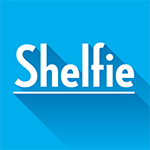 Shelfie is a free app where users take a picture of their bookshelf (a "shelfie") and the app catalogs all their books. Users can then download free ebook / audiobook editions of the paper books. We manage Airbnb properties, providing amazing experiences for our client's guests and taking care of cleaning services, key exchanges, 24/7 guest's support, profile and pricing optimization. Snappy is an innovative app for sending gifts in a snap. Snappy changes the way people shop for gifts by combining a real and meaningful gift experience with the effortlessness of a gift card. Snapshots is a SaaS platform for wedding vendors. It was formed to advance marketing efforts of wedding vendors while appealing to the mobile technology experience and social media trends of wedding attendees. Splacer offers access to list, discover and book creative venues, and to connect with unique service providers. Splacer reimagines use of space by creating sustainable and enjoyable ways of living. The future of taxes, centered around individuals and not forms. We make applications that provide automatic tax benefits for the masses, starting with ride and home sharing individuals. The app that finds the best places to eat or drink based on what people say on Twitter-- like a Yelp or TripAdvisor, but the reviews are customer Tweets. Ubidock is a portable phone charging service for public venues such as restaurants, hotels, cafes, and more. Unleesh is a team alignment platform for training and updates that collects feedback and insights from employees in real time. UpCurrent is a bottom up communication and idea management platform. Designed to bring great ideas from front-line workforce to the corporate office faster and more efficiently. VidAngel lets you stream Movies & TV however the BLEEP you want for less than a Redbox rental with a real time video editing platform that makes any movie suitable for all audiences. Venuetize is a cloud-based platform as a service, leveraging a mobile-first strategy with integrated ecosystem partners that optimizes the intersection of personalized data, marketing analytics, relevant/targeted content, and interactive technologies in sports arenas. ?Wally? POS is a simple, beautiful and cost efficient Point of Sale solution running on an Android Tablet tailored for Latin markets, with strong Web Reporting and integration out of the box for payments with mPOS devices with local processing. WeVue is a culture management and crowdsourcing platform that allows organizations to capture, enhance, and promote what they do by engaging stakeholders in photo and video sharing and communication.